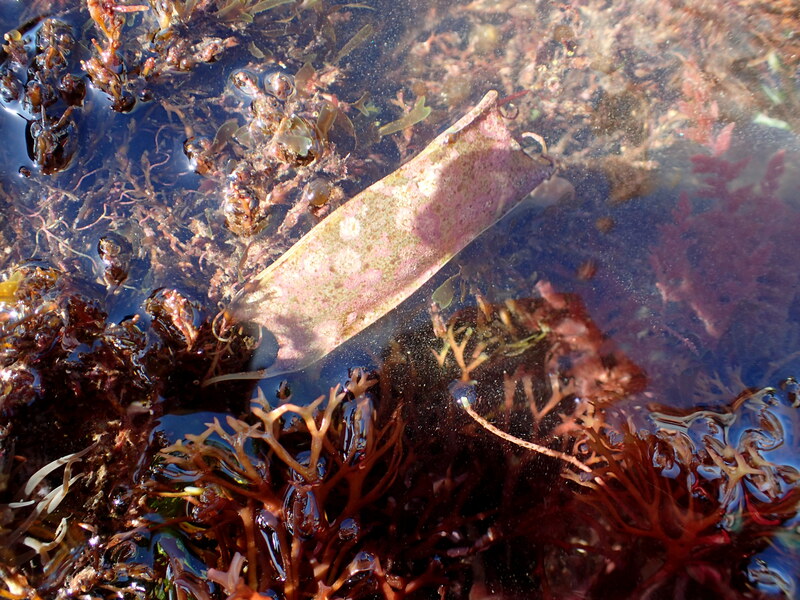 Autumn is a time of great change in the Cornish rock pools, but on the surface this could be mid-summer. The water is warm, the sun is blazing and an immense low tide is beckoning. I accompany a group of under-fives and their parents as they set out to investigate. On land, the yellow tinge of autumn is only just creeping across the woods, but in the rock pools, the seaweeds have already died back. The invasive Japanese wireweed (Sargassum muticum) that clogs the pools all summer with long tresses like knotted hair all summer has thinned away, making it easier to see into the water. There are many species that visit the shore in spring and summer to breed and some of these are long gone, but there’s still plenty to see. 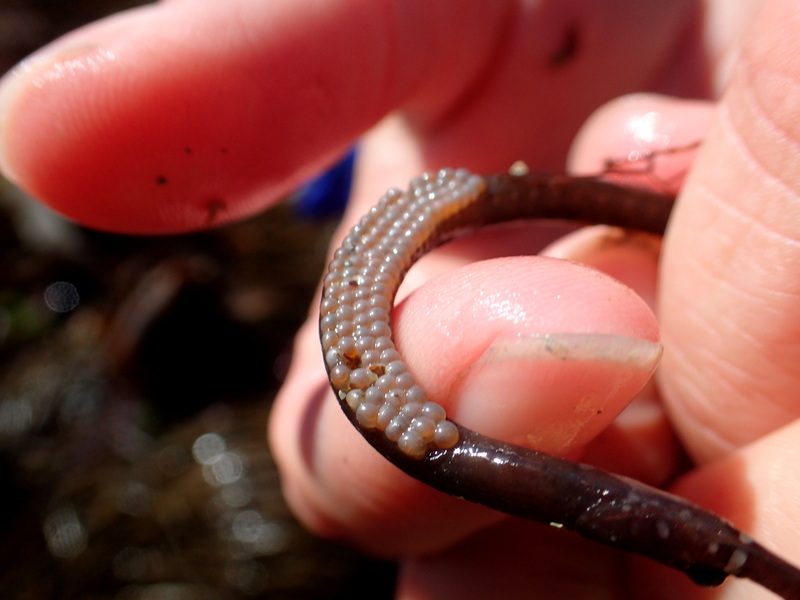 I was surprised to find a worm pipefish (Nerophys lumbriciformis) with eggs this late in the year. The pipefish are closely related to the seahorses, so it is the male that carries the eggs in a special groove on his belly. 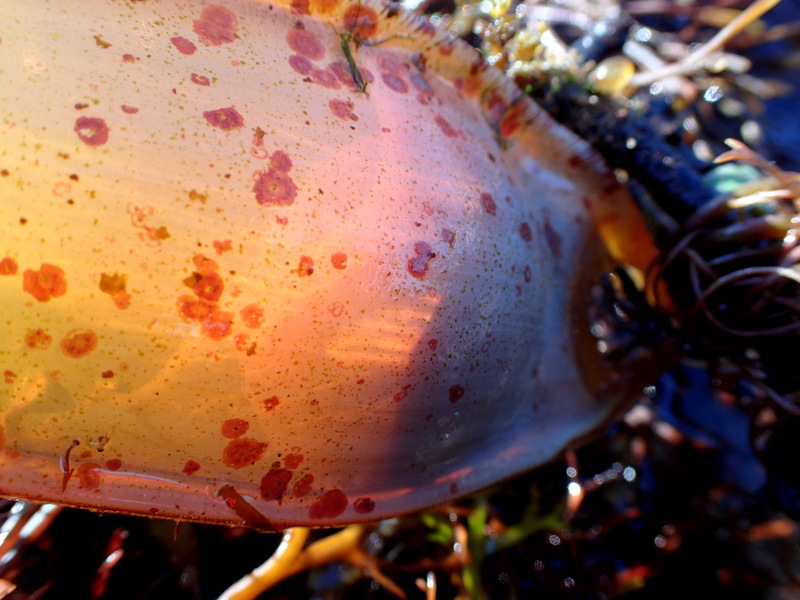 With less seaweed it is easier to spot shark egg cases. There are plenty among the kelp on the lower shore. Some are empty and we can see the hole in the end where the young greater spotted catshark (Scyliorhinus stellaris) has nibbled its way out. Another egg case is very much alive. With the sunlight behind it, we can see the yolk and the shark embryo inside, its head moving, its developing slit-eyes clearly visible. Nearby is an egg case from a lesser-spotted cat shark (Scyliorhinus canicula). It’s the first time I’ve seen one on this beach. We don’t disturb the live egg cases – they need to stay well attached to the seaweed for around 9 months to hatch successfully. We take an empty one back to our ‘shore lab’ to gasps of excitement from the other children. The children have done an amazing job. 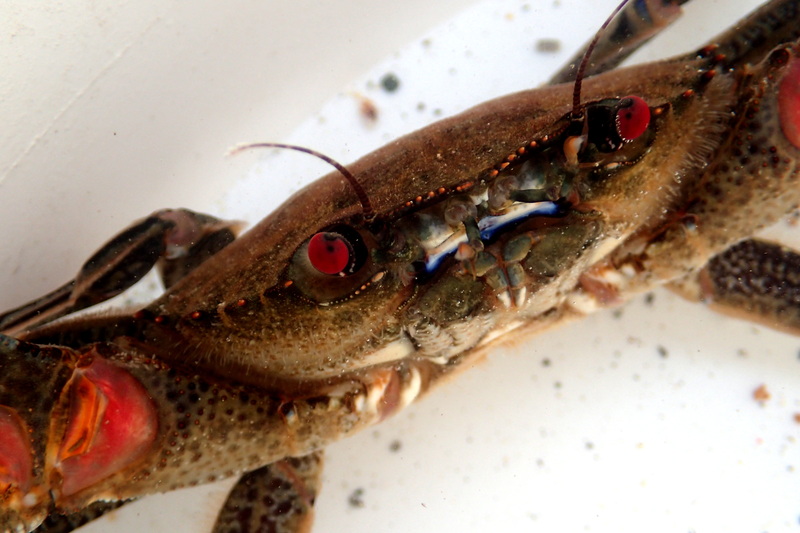 In our trays we have top shells, cushion stars, brittle stars, rockling, a dragonet, squat lobsters, hermit crabs, broad clawed and long clawed porcelain crabs and five more species of crab. Out in the kelp bed, a team of Shore Search volunteers with Cornwall Wildlife Trust have just found a conger eel – a reminder of why we always wear decent shoes on the shore! 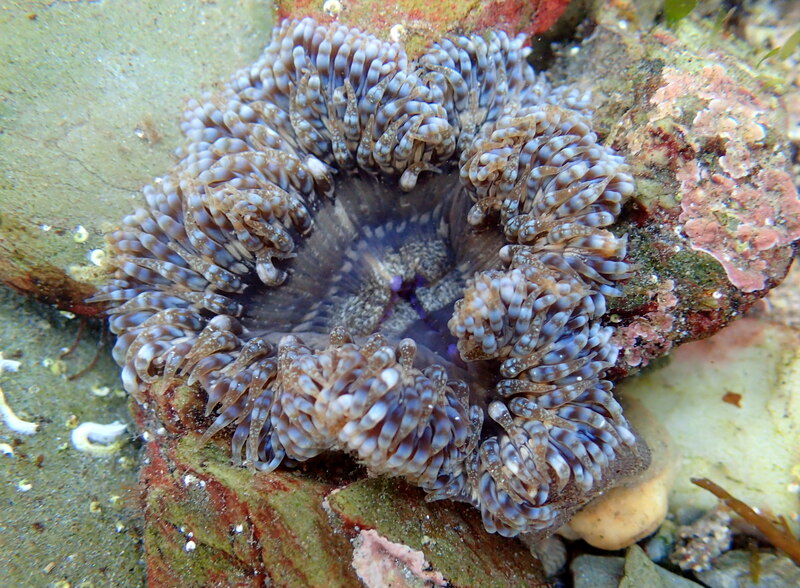 It may be autumn but the rock pool life is still going strong. Over the coming months, these creatures will be tested by plunging temperatures and fierce storms, but they’ll cling on as they always do. Cornish rock pool creatures are as hardy as they come.